I’ve been a longterm consumer of Blue Wilderness products. Actually, every single cat in my life has eaten Blue Buffalo’s food at some point. (Well, other than Kalista who was way too picky to even try it.) Other than Blue Buffalo’s controversies, I’ve found their products to be high quality and reliable. 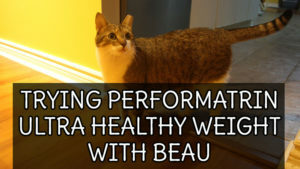 In fact, Blue Buffalo is one of the only foods that got Beau to lose weight/stay conditioned, and once we strayed away over to Royal Canin & Science Diet we started experiencing a fairly quick weight gain. 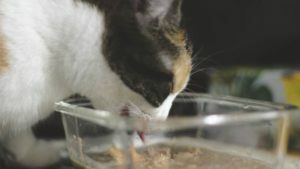 But what can you do when you kitty has to eat a certain type of food to stay healthy. Either way, I thought since Kalista wasn’t a huge fan of Blue Buffalo’s kibble I would try their treats out instead. 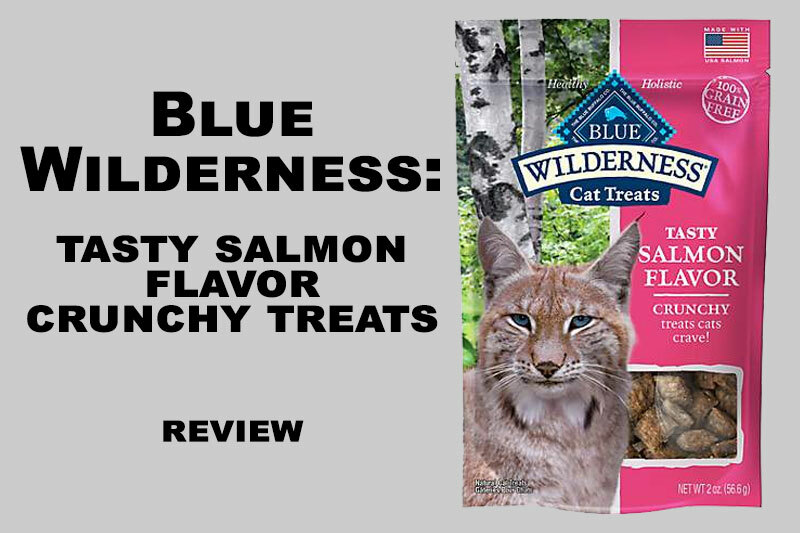 So let’s get cracking and let’s see if Blue Wilderness Tasty Salmon Flavour Treats are worth taking a look at! While all of this is true, a huge controversy arose in the year 2015 in regards to Blue Buffalo using By-Products. This obviously sparked a lot of distrust with the company as they are known to be a top leader in the “natural-holistic” food community. This information didn’t cause me to boycott Blue Wilderness, as much as it made me want to research more into the company and see if there were other controversies that I should know of. For me, fillers are the real killer in a pet food, and by-products come shortly after. On top of that, in general, I believe that brand transparency/trust is extremely important to pet owners, which is something Blue Buffalo lost in me. How do My Cats Like It? All in all, I would give this treat a 4/5. It’s hard rating treats since you have to go in realizing that they are going to be fairly unhealthy, which is partly the case here. 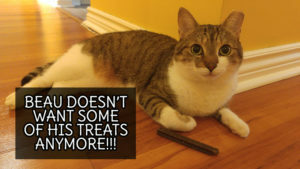 Would I feed my cats this treat regularly? Probably not, maybe once a week when training them or if they’re being extremely good, but I would also trust this a lot more than feeding treats such as Purina LUV and Temptations. 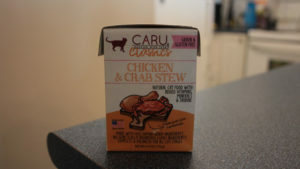 So this cat food is grain-free and as good as what they advertised? You really seem to like it as well as your cats.